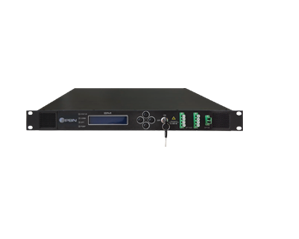 The EDFA-R optical amplifier with redundant power supplies provides a highly stable output. The key features include a multimode pump laser, unique Automatic Power Control (APC), and an Automatic Temperature Control (ATC) circuit that ensures reliability. The high precision microprocessor unit (MPU) ensures intelligent and easy controls through the front panel and web interface. 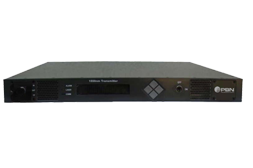 The optical circuit is specially designed for CATV systems and performance. Having an extremely low noise profile, it ensures a better CNR and better BER/ MER performance. The EDFA-R includes dual hot-swappable power supplies providing for a true uninterrupted redundant power source ensuring a high MTBF. The EDFA-R employs an intelligent temperature control system by utilizing a special temperature control circuit and ventilating heat, resulting in a reduction of up to 30% in power consumption. The EDFA-R’s cooling technologies provide thermal stability for the unit and helps to extend the cooling fan’s lifespan. Integrated WEB server can easily let operator to done the remote control though the web browser , no need any seprated NMS software managements. (2) The actual power consumption is relative to output power, the operating environment, and temperature. 1-13 1 port x 13 dBm/per port. 1-24 1 port x 24 dBm/per port. 2-13 2 ports x 13 dBm/per port. 2-24 2 ports x 24 dBm/per port. 4-13 4 ports x 13 dBm/per port. 4-24 4 ports x 24 dBm/per port. 6-13 6 ports x 13 dBm/per port. 6-23 6 ports x 23 dBm/per port. 8-13 8 ports x 13 dBm/per port. 8-22 8 ports x 22 dBm/per port. 16-13 16 ports x 13 dBm/per port ( LC/APC only). 16-19 16 ports x 19 dBm/per port ( LC/APC only). (1) Please note the optical connector of input ports is same as the optical connector of output ports.